Cat in the Hat, Dr. Suess deliver the message: Read a lot…You’ll love it! 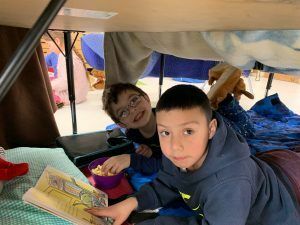 Pelican Rapids Viking Elementary students engaged in the annual celebration of literacy and schoolwide “reading binge” last week–celebrating the most famous childrens author of all, Dr. Suess. 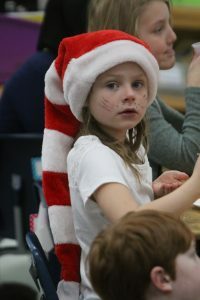 Dressed in a Dr. Suess style cap for the literacy festivities at the Pelican Rapids elementary is Bella Miller, right. 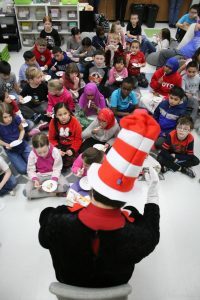 Pictured here is “The Top Cat” himself, reading to a group of Pelican elementary kids. 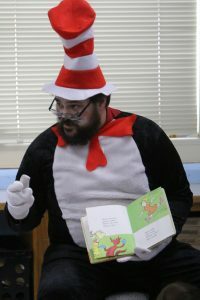 The “Read Across America” celebration also featured “celebrity readers” last week. 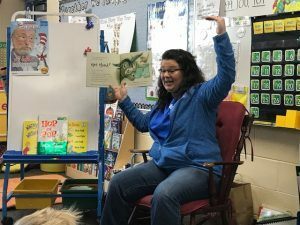 School board member Anne Peterson was among the volunteer readers at Viking Elementary School last week. 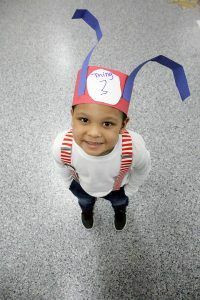 Dermontae Stevenson, dressed here as one of Dr. Suess’s characters, “Thing Number Three” –including a distinctive Suess-style pair of suspenders. 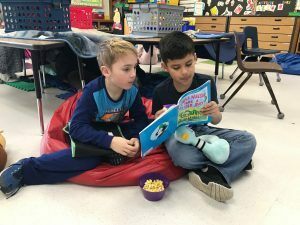 “Buddy Reading” encouraged kids to read with their friends during “Read Across America” activities last week at the Pelican Rapids Viking Elementary School. 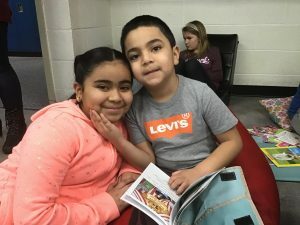 Pictured here are several of the literate pals at Viking Elementary. 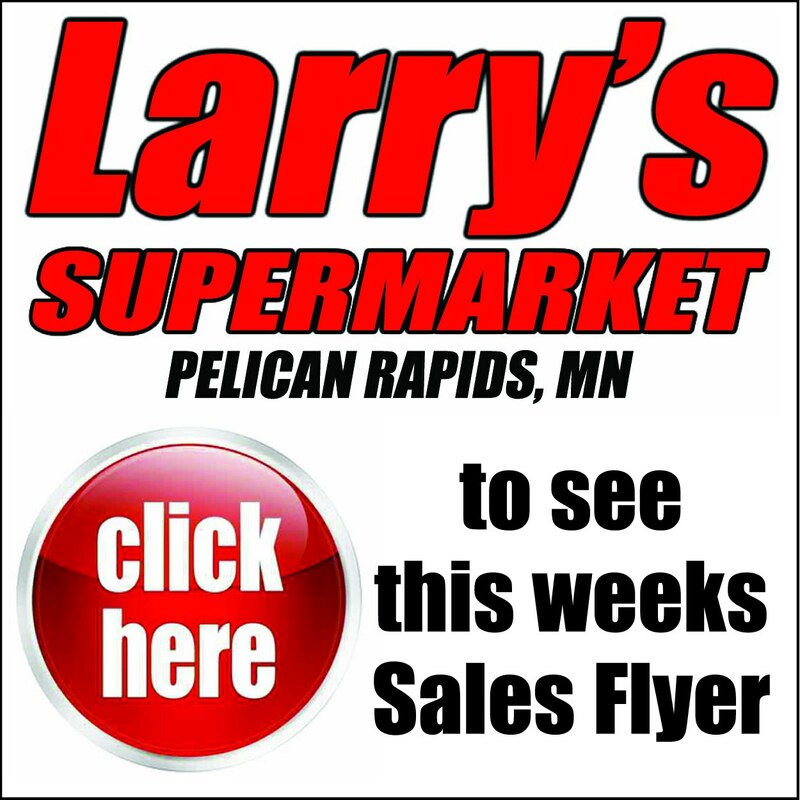 The Press salutes our young readers!